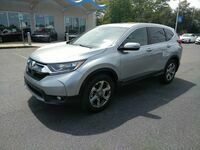 Searching for a new vehicle today can leave you trying to decide between many different options. 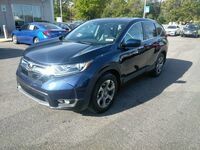 As crossovers and SUVs are becoming more and more popular, there is an abundance of models on the market to choose from. 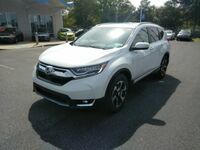 A couple of these models are the 2019 Honda CR-V and the 2019 Hyundai Santa Fe. We did a comparison between the two of these SUVs to help show how they stack up to each other. 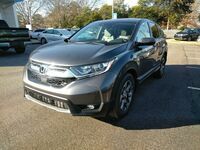 While comparing these two SUVs, we found that although both SUVs are equipped with a 2.4-liter engine and provide a similar amount of power, drivers who are looking for more cargo capacity would be better off with the 2019 Honda CR-V. Both SUVs have a seating capacity of five passengers, but the 2019 CR-V offers more cargo capacity than the 2019 Santa Fe. 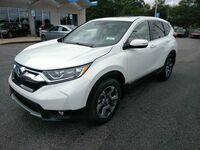 Keep reading to view the comparison of these two vehicles or click on the button below to view our current CR-V inventory. 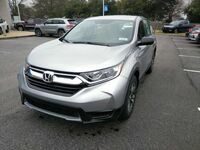 While the base trim level of the 2019 Honda CR-V is equipped with a 2.4-liter engine, other trim levels are built with a 1.5-liter turbo engine. 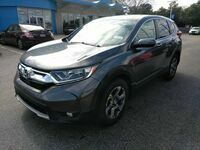 Drivers who choose the 2019 CR-V will also have the option of all-wheel drive for some extra traction. 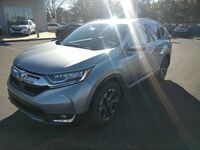 Honda wants to make sure that drivers are confident when they are behind the wheel of the 2019 CR-V, that is why drivers can take advantage of the Honda Sensing® suite. This suite of safety and driver assistance technologies is designed and in place to assist drivers of things around them that they might miss. These features include Collision Mitigation Braking System™ (CMBS™), Road Departure Mitigation System (RDM), Adaptive Cruise Control (ACC) with Low-Speed Follow and Lane Keeping Assist System (LKAS). 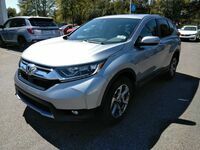 Along with these features and many more, the 2019 CR-V also has plenty of room for you to haul your gear with you wherever you go. 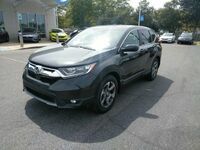 If you are interested in learning more about what the 2019 Honda CR-V all has to offer, click on the button below to receive more information from Townsend Honda!